The importance of being able to speak clearly and confidently cannot be over stressed. This Continuing Professional Development course will improve your communication skills which will benefit your professional and personal life. These courses can be taken privately or in a group situation. The Private sessions can be held on your business premises or in Corfe Mullen. 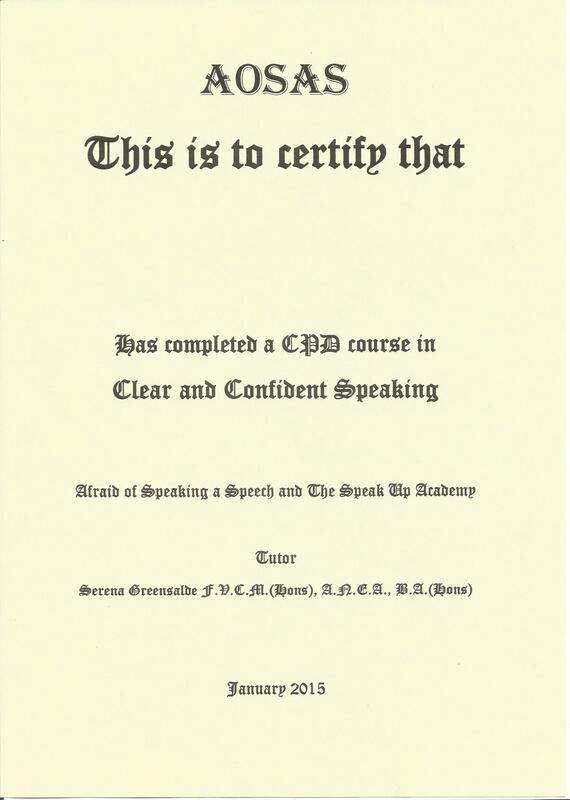 This course will cover the theory of how clear speaking is achieved as well as lots of practical work - but don't worry there won't be any physical movement or games. I won't record anything. All you will need is a pen, a drink (not alcoholic!) and the ability to read.